US Secretary of State John Kerry no longer pretends to be even-handed in overseeing the negotiations between Israel and the Palestinians. His most recent move was to indirectly threaten Israel with boycotts if it refuses to accede to additional demands on issues of borders and security. Despite the fact that he represents our closest ally, Kerry is demanding compromises from us that could impact on our very survival. Defense Minister Moshe Ya’alon rightly responded that a European boycott is preferable to rocket attacks on Ben Gurion Airport. 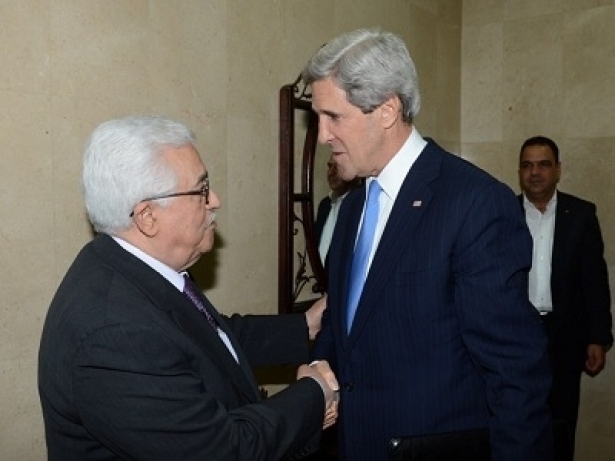 Kerry has put no comparable pressure on the Palestinians. 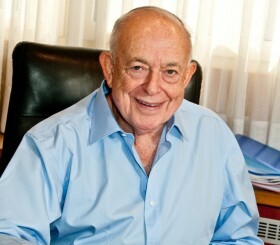 He has not insisted that they deviate from positions that he knows are unacceptable to any Israeli government. He has failed to even publicly condemn their ongoing incitement. By selectively pointing the gun at Israel’s head, Kerry has reinforced the belief that the Palestinians can only benefit by remaining intransigent. Although Kerry is aware that Congress and the American public would vigorously oppose any initiative that threatened Israel with sanctions, this has not prevented him from encouraging European countries, including Germany, to do so. Kerry is capitalizing on European anti-Israelism, which is proliferating at an alarming rate, as demonstrated by a recent opinion poll indicating that nearly half the citizens of the EU believe that Israel is engaged in a genocidal campaign against the Palestinians. Incredibly, in a recent communiqué about International Holocaust Commemoration Day, EU Foreign Policy Chief Catherine Ashton could not even bring herself to mention the Jews. Israel’s political leaders are contributing to this situation. President Shimon Peres told the Americans that the Palestinians need not concede to Israel’s central demand for recognition as a Jewish state – one of the government’s crucial demands which the Obama Administration had already taken on board. Such behavior by a President does not merely represent a major breach of his constitutional limitations but under the circumstances can only be considered unconscionable. 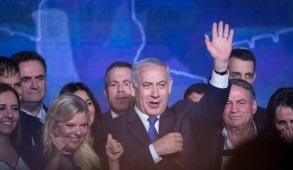 Prime Minister Binyamin Netanyahu and Minister Naftali Bennet provided a bonanza for global anti-Israel entities seeking to portray Israel as the obstacle to peace by publicly bickering over whether Israelis could live under Palestinian jurisdiction – a currently utterly unrealistic scenario. Finance Minister Yair Lapid and Tzipi Livni have both made histrionic remarks about the potential economic impact of a European boycott should the peace talks fail, providing grist for the mills of the global BDS movement’s propaganda. A group of leading Israeli businessmen, purporting to promote a non-partisan two state policy together with Palestinian counterparts via a body called “Breaking the Impasse”, also engaged in actions to weaken Israel’s negotiating position. Whilst attending the Davos World Economic Forum, they distributed a petition calling for one-sided demands on Netanyahu to be flexible and accommodating to the Palestinians and warning of devastating repercussions to the Israeli economy if peace negotiations fail. 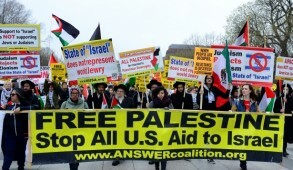 Like the panic-stricken politicians, these businesspeople are chanting empty mantras about the value of peace that cynically imply government warmongering and contribute nothing to the real challenge of negotiating a peace accord: how to come to an understanding with duplicitous partners who rule over a criminal society and are committed to the elimination of Jewish sovereignty. 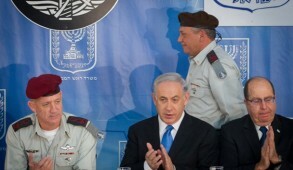 Critics are entitled to differ with Prime Minister Netanyahu’s negotiating position. But what do they mean by “flexibility?” Does flexibility mean that Israel should agree to freeze all construction in the major settlement blocs, including Jerusalem until an (unlikely) settlement is reached? Does flexibility mean we should accept the right of return of six million descendants of Arab refugees as a basis for negotiations? How should we interpret the Palestinians’ vicious incitement, sanctification of released murderers, and over recent weeks, the ghoulish depiction on Palestinian State TV of the released murderers’ detailed accounts of their monstrous acts? Is this what is expected of a genuine peace partner? Do the Prime Minister’s critics want Israel to be flexible in terms of security knowing that Hamas, which has resumed missile launches against us, could either merge with or assume control of the PA? Would the businessmen who pressure Netanyahu to be more accommodating, encourage him to entrust the security of our children and grandchildren to Kerry’s electronic fences or NATO forces rather than the IDF? Thankfully, the Prime Minister is fully aware of the risks that such flexibility represents. He therefore directs his negotiations towards the creation of a Palestinian state which provides for Israel’s security. He is juggling in this mad hatters’ game, seeking interim progress, and working to retain American support and to demonstrate to a hostile world our absolute commitment to peace — all while resisting the enormous pressure to capitulate on long-term security issues. The results will not bring us closer to peace. Netanyahu’s government is poised to accept the forthcoming, non-binding US framework agreement with sufficient reservations to make it meaningless but enabling Kerry to demonstrate a ‘successful diplomatic coup’. 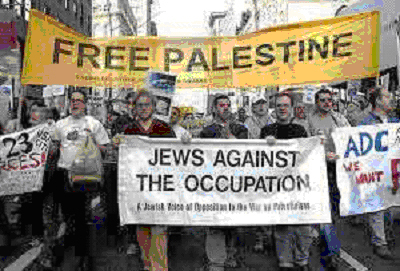 The Palestinians are likely to follow suit. Both parties are likely to continue negotiations in the hope that they will be the ultimate winners in the blame game. Prime Minister Netanyahu must refrain from making independent statements that do not have cabinet approval, curtail the counterproductive flow of ministers’ inflammatory remarks, and insist that ministers support or remain silent on established positions. Discipline is essential. The Prime Minister must also remain committed to working against anti-Israel forces seeking to delegitimize and demonize us by distorting our policies and objectives. 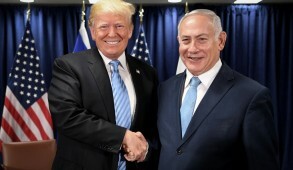 To achieve this will require the more intensive support of friends of Israel throughout the world, especially in America which Netanyahu has yet to fully capitalize. American Jewish leaders will have to review their approach. Over the years, AIPAC, the President’s Conference, the American Jewish Committee, the Anti-Defamation League, the ZOA and other committed Jewish bodies have displayed consistent devotion, loyalty and support for Israel. But today they face a dilemma. Their hitherto fully justified determination to maintain bipartisanship becomes counterproductive if it precludes them from standing up and confronting an administration which is clearly bullying Israel and not acting evenhandedly towards its only democratic ally in the region. They can do so in a respectful manner. But when a US Secretary of State indirectly encourages Europeans and others to pressure Israel with sanctions unless it makes further concessions, friends of Israel must protest publicly or this could develop into a tsunami and we will be abandoned. Not surprisingly the traditionally outspoken ZOA immediately protested. But it was significant that ADL head Abe Foxman, hardly a hawk, sent Kerry an open letter bitterly criticizing his remarks which he charged would be construed as “an incentive by Palestinians not to reach an agreement” and “as legitimizing boycott activity”. Israel’s supporters around the world should today unite and speak out. The government and Diaspora leaders should initiate a Day of Global Solidarity with Israel in which Israelis, Americans, and Israel supporters worldwide gather in Jerusalem to express their support for Israel’s commitment to peace, and condemn those seeking to force Israel to compromise on its basic security needs. We must demonstrate that a genuine peace can only be attained when both sides are committed to peace and treated fairly.